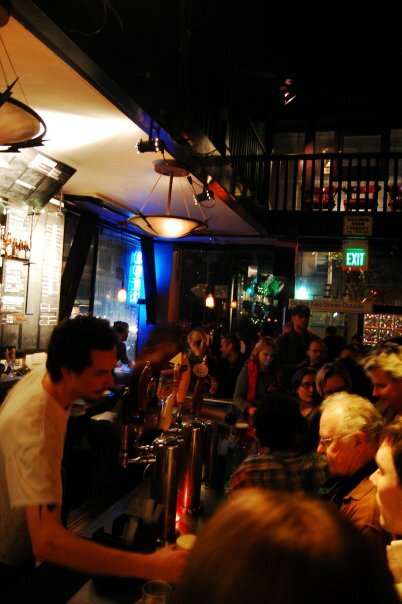 With each production, the San Francisco Theater Pub is expanding it’s network of artists. We encourage our audiences to check out the work of our friends and collaborators. AtmosTheatre – an associated company of the San Francisco Theater Pub. San Francisco Theater Pub Co-Founders Victor Carrion and Brian Markley are founders and executives, Stuart Bousel is the Director of Events, and Bennett Fisher is an associate artist. Bay One Acts Festival– The official site of The Bay One Acts, an annual SF Bay Area theater festival in which SF Theater Pub participates as a producer and which has frequently included work by numerous Theater Pub collaborators. Bennett Fisher On Stage – The blog of Bennett Fisher, San Francisco Theater Pub Co-Founder. Horror Unspeakable– The website of Stuart Bousel, San Francisco Theater Pub Co-Founder. Cody Rishell– The online portfolio of San Francisco Theater Pub’s Art Director. Inkblot Ensemble– The blog of Megan O’Connor, a Theater Pub Artistic Director. English For Beginners– The blog of Claire Rice, a frequent Theater Pub collaborator and Theater Pub Staff Blogger. Marissabidilla– The blog of Marissa Skudlarek, a frequent Theater Pub collaborator and Theater Pub Staff Blogger. TheMeganCohen– The website of Megan Cohen, a frequent Theater Pub collaborator and Co-Founder of Saturday Write Fever. The Idiolect– An extremely comprehensive blog by Bay Area theater critic Sam Hurwitt. Anomalous– An art blog by Art Director Cody Rishell. The Red Poppy ArtHouse– A shared art space in San Francisco. The EXIT Theatre– A theater multi-plex where Saturday Write Fever happens, The SF Fringe, and so much more! The Hall– An awesome mini-food court and bar that hosts us! PianoFight– An awesome theater multi-plex, bar and restaurant that hosts us!